Southeast Asians love their milk tea. 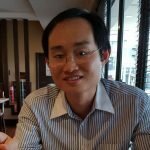 This is probably the reason why Nestle has come up with the new Kit Kat Duo Milk Tea in Thailand, Malaysia and Singapore. Consumers in these markets can easily relate to Kit Kat Duo Milk Tea and call it their own. 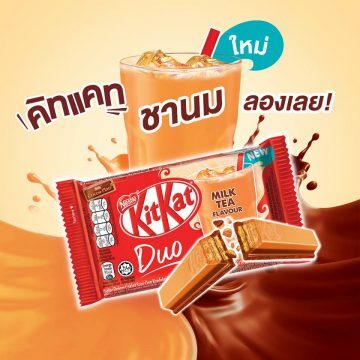 Malaysians would consider Kit Kat Duo Milk Tea as their Teh Tarik, while Thais would think of their Thai tea. In Malaysia, Kit Kat Duo Milk Tea is described as having the teh tarik and chocolate tastes. 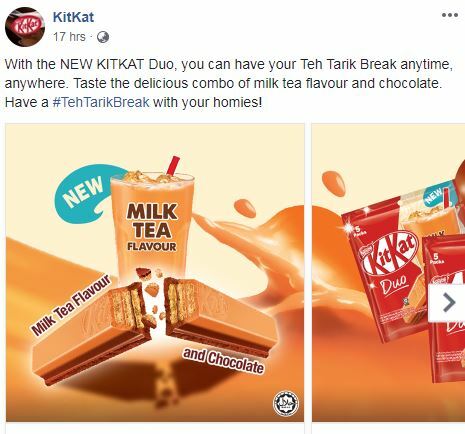 As for the actual taste, you have to try it out yourself to see if Kit Kat Duo Milk Tea really has a taste that resembles Teh Tarik.